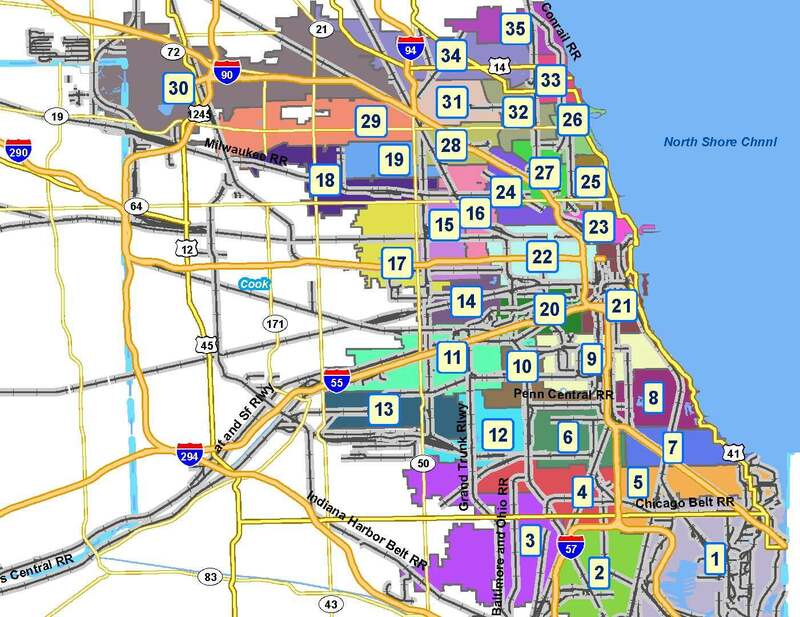 As part of the ongoing redistricting process, Alderman Waguespack suggested that the City Council consider a map with 35 rather than 50 wards. Given the decline in population since the peak of 3.6 million in 1950, such a map would have a population per Ward more consistent with the historical average. The target population in the 35 Ward scenario would be 77,000. 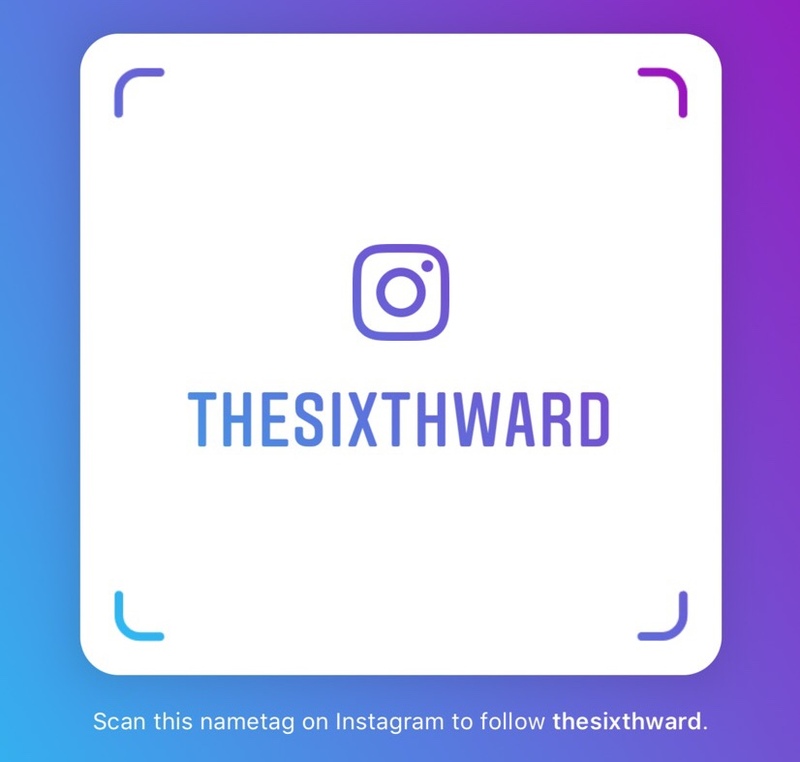 If you blow up this map and you know I should do a crop the area that contains the current Sixth Ward. It would be taken by a new 6th Ward which largely contains Englewood. Then the 7th Ward which appears to cover Park Manor and then east to South Shore. Then the 5th Ward that contains Chesterfield, West Chesterfield, and east towards Burnside to South Chicago. 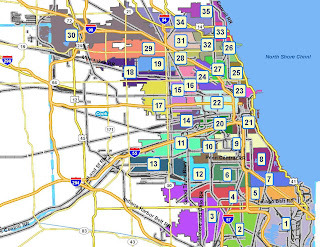 In this case it's all about how you draw a map and what input you recieve - and I'm sure many affected if the city suddenly decided to reduce the number of Alderman - there are many who would agree with this map but want to draw different lines. In fact I wonder if Worlee's idea on a possible reduction of city council wards could hold water if it were to ever happen.